Episode 3? Well, I almost had three heart attacks while watching this episode. While the amount of suspense is reduced, the story is still as engaging as the first week. It’s kind of understandable why the plot is kind of slow, because we’re only in the second week. There’s more to come in the upcoming episodes, hopefully. 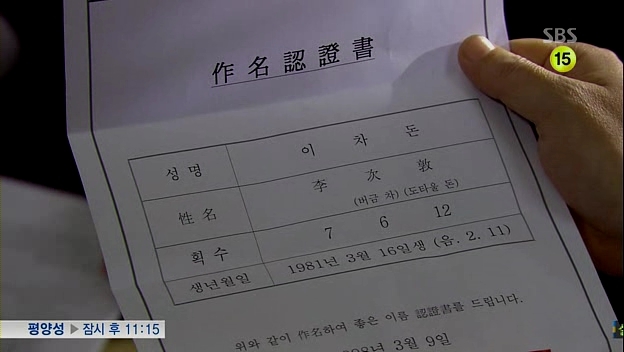 The entrance of the adult cast shows a rise in the ratings, from 9.7% for episode 2 to 10.2% for this episode. It’s not that I really care about the numbers but it’s nice to see people appreciating the drama as much as I am. As Madam Bok is listening to the doctor about his progress, Kang-seok stares into the television intently while trying to say something, but soon, Jae-in comes in and turns off the television. She can’t believe her luck to have him coming into his life and tries to make him smile. She tries to make him talk but it’s useless; he doesn’t say anything at all and keeps staring at her. Jae-in promises to take care of his pitiful self and Kang-seok doesn’t really look that pleased with her leeching onto him. The search for Kang-seok’s parents is still a fruitless one and Madam Bok decides to bring him home first. She will take care of him and if his parents can’t be found in a month, she’ll send Kang-seok to the orphanage. She wonders what type of parents that let their child alone in that condition as the camera shows where his parent is: Madam Park has been transferred to an asylum, in which she doesn’t really look that good. She asks the doctor about her son but the doctor only injects her with drugs to keep her calm. Attorney Hwang drops by to ask about her progress and tells the doctor that Kang-seok has died in an accident. Se-kwang receives a call from Attorney Hwang, who tells him about Madam Park’s health progress. Se-kwang is about to leave for his prosecutor appointment ceremony when Bi-ryung arrives at his doorstep. She wants to accompany him to the ceremony but he doesn’t allow her to do so; instead, he tells her to wait for him at home and leaves by himself. At the ceremony, Chief Prosecutor Jo Sang-duk (Lee Byung-joon) keeps an eye on Se-kwang and unknown to him, Prosecutor Kwon is tipping Reporter Go about his sponsor. He then calls Madam Bok, who is on her way home together with Jae-in and Kang-seok. Jae-in can’t take her eyes off the boy, even when he’s sleeping soundly in the car. The new prosecutors start coming to a gisaeng parlour that belongs to Madam Bok, including Se-kwang, who arrives with Prosecutor Jo. Jae-in is also there, having her lessons while secretly munching her snack when the tutor isn’t looking. Kang-seok looks around aimlessly as Jae-in recites the text from her book. At the same time, Madam Bok greets the prosecutors and mules over how they are so good looking. Prosecutor Kwon warns Se-kwang to be careful with her. 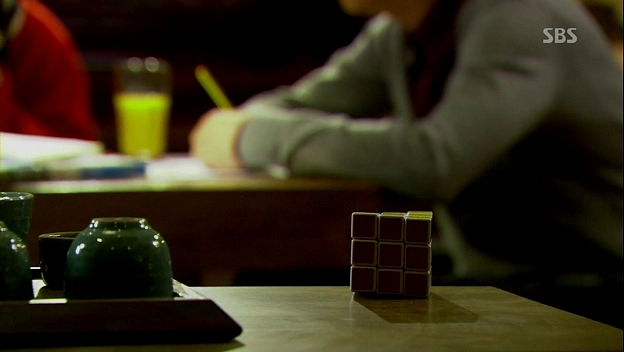 Kang-seok reaches for the Rubik’s cube and solves it before walking out while Jae-in is busy arguing with her tutor. He recites the text perfectly from a single hearing outside and the tutor wonders if Kang-seok solves the cube. Jae-in thinks it’s impossible since the boy is dumb although he’s good looking. Prosecutor Kwon is pissed off when Prosecutor Jo keeps talking about the case he lost to Se-kwang and chooses to lash out his anger towards Madam Bok’s henchman Kim Pal-do (Yo0n Yong-hyun). Madam Bok comes to offer him her explanation about anything that he wishes to know. He’s just about to ask about Jin Gu Savings (?) that he suspects acting as Prosecutor Jo’s sponsor but the said man is faster to drag him out of the room with Se-kwang’s assistance. Madam Bok wonders if is it okay to leave Prosecutor Kwon just like that when he knows a lot, but Prosecutor Jo thinks it’s nothing to be worried about. Se-kwang and Prosecutor Kwon have a talk outside, in which Prosecutor Kwon tells Se-kwang about the shady business behind Madam Bok’s gisaeng parlour and even brings up about Kang-seok. 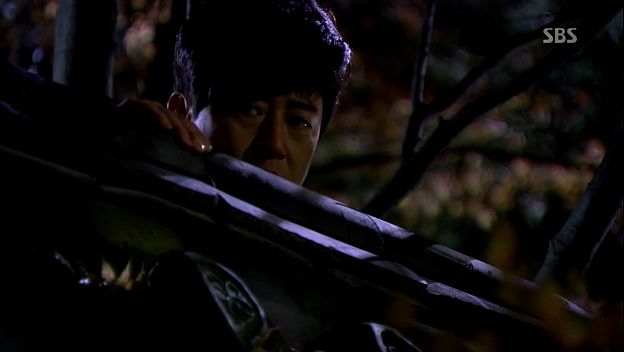 Unknown to them, Kang-seok is listening to their conversation over the wall but falls down when he wants to leave. Se-kwang checks on him but only see his back while Jae-in is laughing at him. Kang-seok then recites everything that he overheard from the two of them. Jae-in is more interested with the fact that he finally talks. Heading back to his home, Se-kwang gets a surprise congratulations party from Bi-ryung, who also proposes to him. He doesn’t accept it and decides it’s the end for their relationship. She feels like being used for his scheme before being disposed just like that. Bi-ryung leaves the house after giving him a slap as her last present. Jae-in: Who is the most beautiful person in the world? Jae-in proceeds to hug him but he’s clearly not that interested in her.Luckily, Madam Bok comes and starts nagging at Jae-in. They run away and Madam Bok is about to chase after them, but Mr Kim, the henchman, comes bearing a newspaper article. There’s something going on with the Prosecutor’s office and Madam Bok is likely to be dragged into the matter. The article is written by Reporter Go and Prosecutor Jo suspects it’s all Prosecutor Kwon’s doing. Mr Kim brings Kang-seok along with him somewhere and Jae-in suddenly calls him, asking where he is. It turns out that he’s sending Kang-seok to the orphanage. However, Kang-seok disappears from the orphanage as soon as he’s sent there. Jae-in keeps crying and eating after he leaves, but Kang-seok is actually finding his own way back to the parlour based on what he remembered from the journey. He finally reaches the place but at the same time, Se-kwang arrives with the prosecutors to conduct a search over there. Luckily, he doesn’t see Kang-seok’s face clearly and ignores him. Jae-in runs inside to warn her mother about the prosecutors and Madam Bok even receives a call from Prosecutor Jo, warning her about the search. She takes out something that looks like a secret ledger book and tries to hide it. Since the prosecutors are already there, she doesn’t have other choice but to throw it out of the window and it falls in front of Kang-seok. Madam Bok greets Se-kwang calmly but Jae-in kinds of giving the clue that the ledger has been thrown out. Mr Kim is about to take it but Kang-seok is already holding onto it and refuses to hand it over to him. The prosecutors find the two of them and Mr Kim tells Kang-seok to run away with the book. He runs away and the barbeque set gives him an idea: he decides to burn the book but not before scanning the pages, one by one. Prosecutor Jo is angry that Se-kwang didn’t report anything to him before conducting the search. However, Se-kwang is only focused with his goal to become a prosecutor of Korea. The family is thinking how Kang-seok ends up at their place again. He suddenly recites the account details that he saw and they are surprised that he’s talking again. He tells them that he has burned the ledger and Madam Bok asks him if he looked through the account. They are expecting his answer but he suddenly yawns. Madam Bok is about to hit him but he recites everything that he read from the book. The whole family is amazed with him. 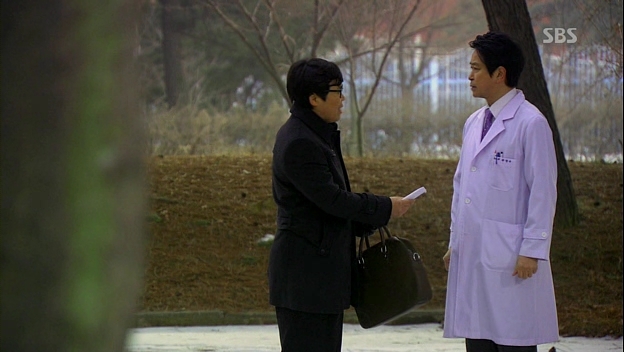 Off they go to the hospital, where Kang-seok undergoes several tests and the doctor declares that he has an amazing memory, probably just like a genius. The prosecutors can’t find anything from the confiscated documents of Madam Bok and Se-kwang is frustrated to hit a dead end in their investigation. He receives a call from Bi-ryung, who’s about to leave for overseas. She wants to meet him for the last time, but he doesn’t want to do so. He wishes her the best and ends the call. Bi-ryung is truly upset with him and finally leaves the country. 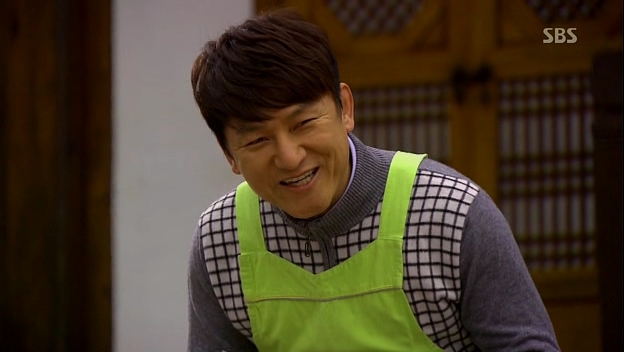 Kang-seok is offered a contract to be Madam Bok’s adopted son but he can return to the orphanage if he doesn’t want to do so. He refuses to sign the contract as she isn’t his mother. She tears the contract and tells Mr Kim to bring him back to the orphanage. Jae-in is waiting nervously outside and she’s relieved that Kang-seok isn’t going to be her sibling. She wants him to call her princess again, but he glares at her and calls her fat. Her face falls and he proceeds to tell her that he hates a fat girl. Oh God, poor girl! His words make Jae-in starts working out to lose some weight to make him like her as a revenge. Mr Kim sends Kang-seok to the orphanage and gives the director some money in order to assure that Kang-seok gets the best while he’s growing there. The new name chosen for him is Lee Cha-don. He wishes for the matter to be kept a secret from the boy, especially about his benefactor. He wonders why Madam Bok is so eager in helping him and she simply chooses to do so as she sees the potential in him that will benefit her in the future. Kang-seok, or the new Cha-don, knows that he misses his parents although he can’t remember who are. From the boy who looks into the mirror and wonders whom his face resembles, he grows up into a fine man, admiring his own handsome face. The man walks into the prosecutor’s office while introducing himself to every single person there. Madam Bok is glad to hear that Cha-don is starting to work at the prosecutor’s office. Meanwhile, Jae-in now uses a new surname, Gong Jae-in and works at a bank. 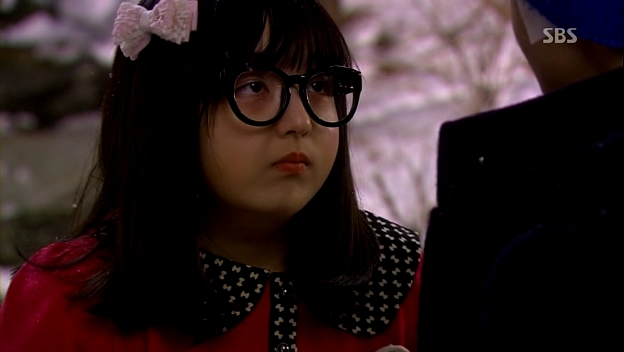 Despite her goal to lose some weight, she’s still the old Jae-in, who still love to eat everything. 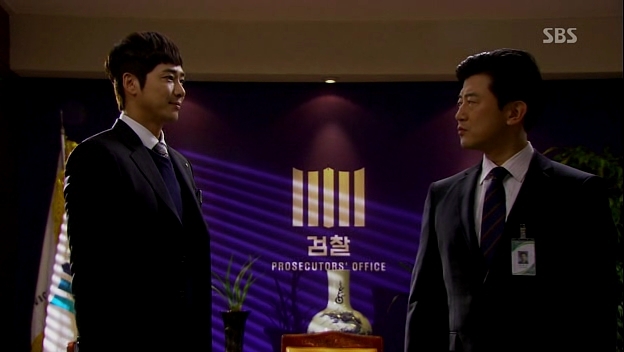 Cha-don meets his superior, Chief Prosecutor Jo and later, he’s introduced to the person who will guide him at the office. Enters Se-kwang, who’s going to be Cha-don’s tutor from now on. Oh, the fate. It’s just normal for Se-kwang to be the one picked to be Kang-seok, or Cha-don’s tutor, right? (I’m going to use Cha-don from now on for simplicity purpose) Okay, the cliffhanger aside, thee episode does feel a little slow compared to the episode before but we’re still in the introduction part and there are 21 episodes to come! That’s not a small number and I seriously hope the drama won’t be draggy. This time, it is real: the adult cast finally made their entrance and I am happy to see both Kang Ji-hwan and Hwang Jung-eum. Finally! Weeeeee~ But still, it’s kind of sad to let go of Park Ji-bin and Seo Shin-ae. Their appearance feels short, especially Shin-ae. I want to see more of her, but we still have a lot to be explored during the characters’ adult years. Oh, bring it on, especially the revenge. I LOVE revenge! I really, really hope this Mr Kim will never betray the family. I’ve seen enough betrayal and he’s a no-no to betray Madam Bok and Jae-in. I’m going to miss the kids! One of the rare occasions I wish they were around a couple more episodes. Like I, I really do like this drama!